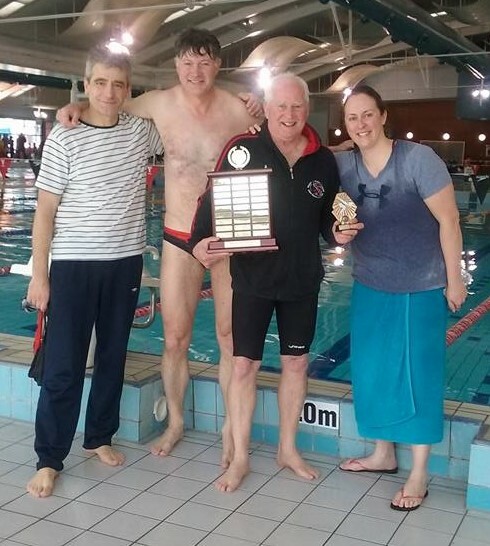 After much hard work by the committee and Annette Britten, on Saturday, 17 September 2016, Tuggeranong Masters hosted their second Masters Swimming NSW Branch Point Score Meet. 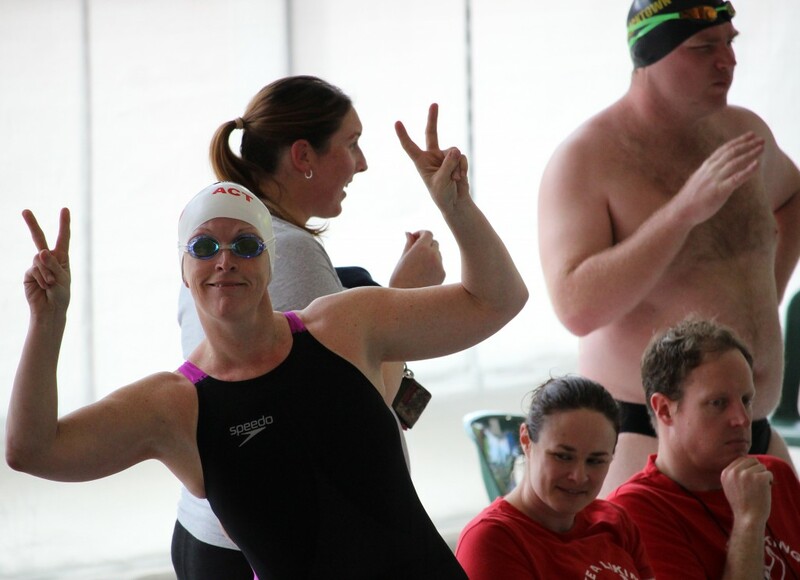 After a bit of a whirlwind through the first few events, the marshals were able to slow things down a bit allowing everyone to catch their breath and enabling the swimmers to actually finish one event before having to be in marshalling for their next one! Whilst the overall number of entrants was again a bit disappointing, the meet ran smoothly and everyone who came seemed to enjoy the afternoon. From the Vikings team we saw newbie Richard Phillips swimming in his first Masters meet tackling a 100m Individual Medley, 50m Freestyle and 50m Breaststroke. Richard had been practicing diving and with the help of coaches prior to the meet, and was pleased that his goggles stayed on for all of his race starts! He showed he is a neat sprint Freestyler with a time of 33:08. Ed Linder took on a 200m Freestyle for the first time under the encouragement of coaches Caz and Anne using the ‘build’ approach nicely to finish in a time of 2:44.25 – a solid achievement with the training that Ed has been putting in, and a sub 2:40 most definitely looms for Ed in early 2017. 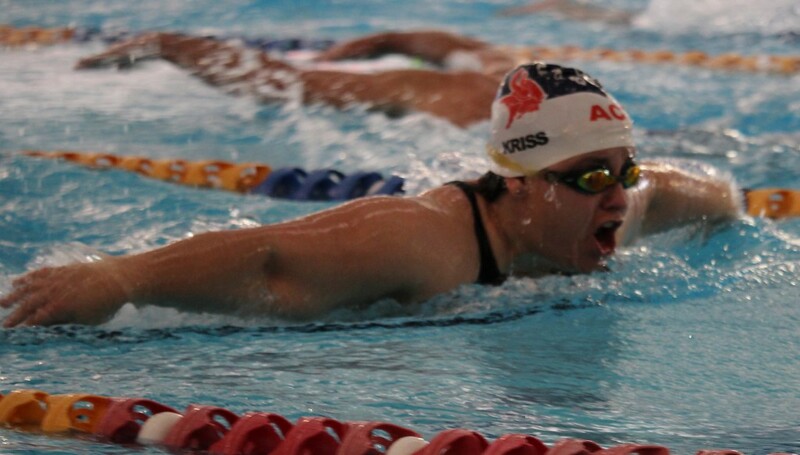 Many of the regular racers were in attendance including Katrina Burgess putting in a solid ‘return to Breaststroke form’ 100m swim and Marianne Tweedie was only a stroke behind Katrina finishing the 100m Breaststroke with a solid last 25m. Atsuko McGowan returned to the pool after no racing so far during 2016 with a ‘not too shabby’ 100m Individual Medley. 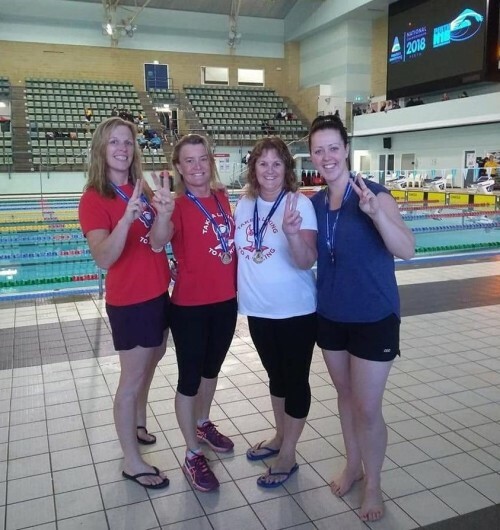 Ann Reid went a ‘nice and steady’ almost three minutes dead for her 200m Freestyle and Pam Munday showed her skill and endurance as a 200m Butterfly swimmer in that tough event. Caz Makin finished off her four swims with a challenging ‘back up and down’ 200m Backstroke in sub three minutes with Jeanette Droop chasing Caz up and down the pool for 8 laps of Backstroke from just two lanes away – solid swimming from Jeanette. 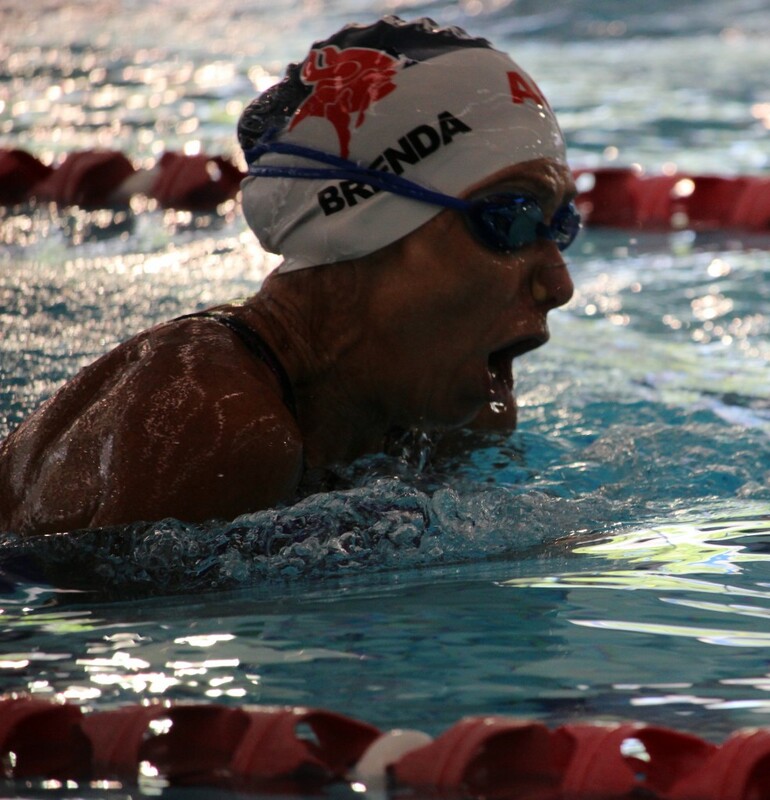 Otto Benda, Helen Morris, Andrea Tenuisson and Brenda Day were amongst the many who liked to ‘mix it up’ with a 100m individual Medley to kick off their swims for the day. Nick Dando was ‘sprinter supreme’ taking on all four 50m sprint events with not much rest between each one, whilst Lori Gould was the female ‘sprint specialist’ going in three 50m events and Kristen Leydon topping off her three 50m sprints with a 100m Freestyle. 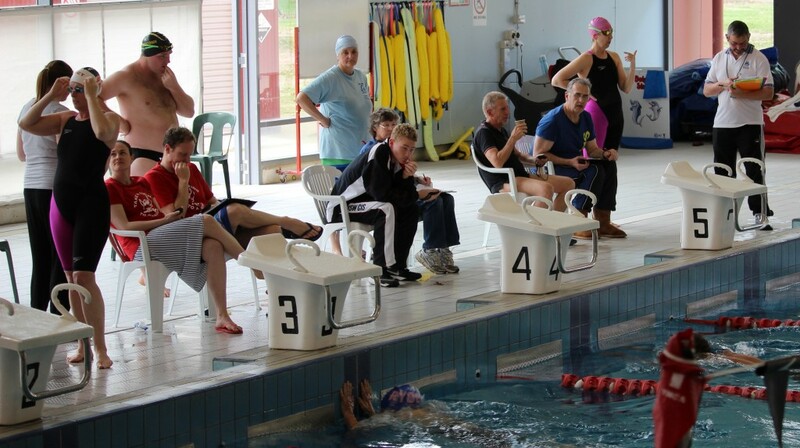 Our superfish Gary Stustel showed everyone that at age 77, age is no barrier to swimming fast and pulling out a 100m Freestyle time of 1 minute 23 seconds. 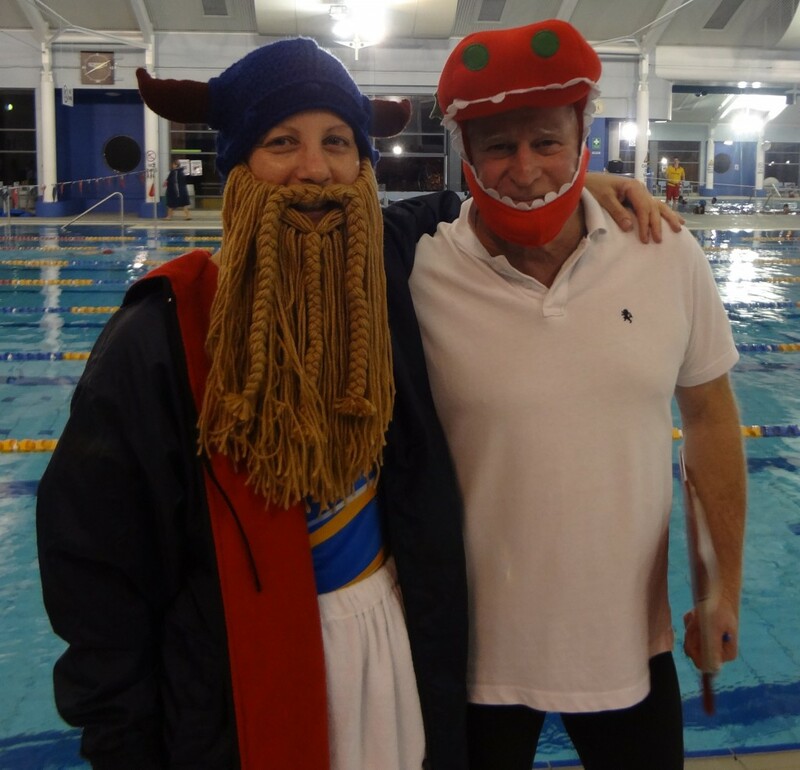 Our bushranger Roger Dietrich returned to the Viking swimming fold once more and gave us some thoughts about his return and some inspiration to start swimming again… Thanks also to Roger for taking some action shots of the day! We had 61 entrants from 17 clubs. 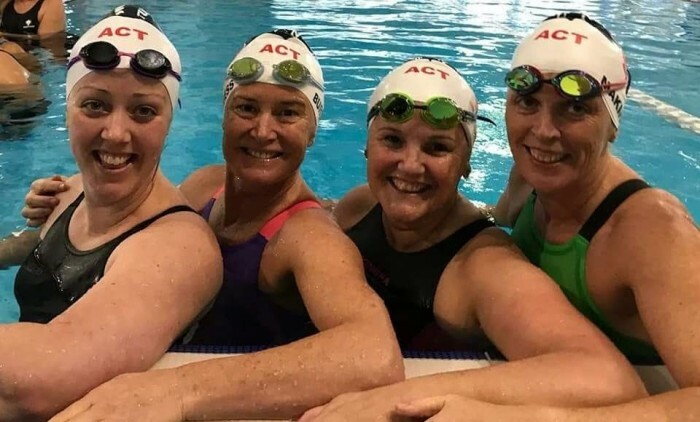 Locally form the ACT, we had 20 swimmers from Tuggeranong Vikings, 12 from Molonglo Water Dragons and one from Ginninderra. A good contingent from Oak Flats Masters came to defend their visitors title from the inaugural meet two years ago, with the remainder making the trip to represent the Sydney based clubs. The winner of the Visitor’s trophy this year was Molonglo Water Dragons. Many thanks to all those who helped to support the club running this meet by volunteering their time, technical and culinary skills.